But were these horrible events indicative of an increase in crimes and incidents themselves, or did the reports simply reflect an increased awareness and willingness to come forward on the part of victims and witnesses? As data journalists, we went looking for answers and were not prepared for what we found: Nobody knows for sure. Hate crimes are so poorly tracked in America, there’s no way to undertake the kind of national analysis that we do in other areas, from bank robberies to virus outbreaks. There is a vast discrepancy between the hate crimes numbers gathered by the FBI from police jurisdictions around the country and the estimate of hate crime victims in annual surveys by the Bureau of Justice Statistics. The FBI counts 6,121 hate crimes in 2016, and the BJS estimates 250,000 hate crimes a year. We were told early on that while the law required the Department of Justice to report hate crime statistics, local and state police departments aren’t bound to report their numbers to the FBI — and many don't. Complicating matters further is that hate crime laws vary by state, with some including sexual orientation as a protected class of victims and some not. Five states have no hate crime statute at all. We decided to try collecting data ourselves, using a mix of social media newsgathering and asking readers to send in their personal stories. We assembled a coalition of more than 130 newsrooms to help us report on hate incidents by gathering and verifying tips, and worked on several lines of investigation in our own newsroom. More than half of hate crime victims don't file reports to the police, according to a June BJS report. Many police officers get little to no training about how to handle hate crimes. Only 12 states have statutes requiring this type of instruction at police academies. At the local level, there are widespread discrepancies in what police consider a hate crime, as well as confusion about how and whether to track hate crimes as such. Last year, almost 90 percent of local law enforcement agencies reported having zero hate crimes in their communities. Even if hate crimes are investigated, they aren't always prosecuted. In Texas, 981 potentially bias-motivated crimes were reported to police from 2010 to 2015. Only eight cases ended in convictions. Like local police, federal agencies often fail to send their hate crime statistics to the FBI, too. Violence by white supremacist groups sometimes goes unchecked by police, as was the case in Charlottesville and with members of the so-called Rise Above Movement. We’ve received thousands of tips so far through our embeddable incident reporting form. We’ve also added tips sent to us by civil rights groups such as the Southern Poverty Law Center. Hate incidents are an ongoing problem at schools and universities. BuzzFeed took a deep dive into school-based incidents and college campuses. The New York Times opinion section, Univision, The Seattle Times and Chico Sol also reported on incidents at educational institutions. A Southern Poverty Law Center survey of educators also found a spate of incidents in schools. In some cities, hate incidents on public transportation rose. The Boston Globe, The New York Times opinion section and Univision covered this. Over and over, we've seen people of color say they've been targeted with the phrase “Go back to your country.” Univision, HuffPost, The New York Times opinion section and The Cincinnati Enquirer told these stories. Xenophobic bias incidents targeting immigrants and people of color are common. The Boston Globe, Univision, India Currents and ProPublica wrote about this. Univision also found that some Latinos have been targeted for speaking Spanish in public. Islamophobia remains a fact of life across America ProPublica, the Star Tribune, HuffPost, New America Media, Splinter and Fusion looked at this. Meanwhile, the Council on American-Islamic Relations says anti-Muslim incidents rose 9 percent in the first three quarters of the year. Anti-Semitic vandalism incidents happen all over the country. HuffPost, The Arizona Republic, The New York Times opinion section, Reveal and ProPublica reported stories on this. The Anti-Defamation League found anti-Semitic incidents increased 67 percent during the first three quarters of this year. Our mission at ProPublica is to do journalism that has impact. 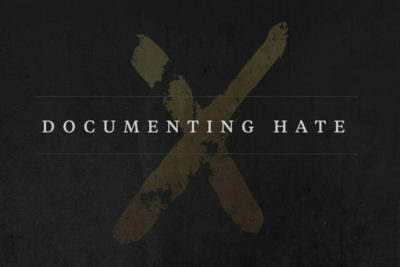 We’ve seen significant impact from Documenting Hate. The official Virginia state after-action report on the Charlottesville rally cited ProPublica’s reporting and made recommendations for better police practices based on our journalism. Cloudflare changed their complaint policies following a ProPublica story on how the company helps support neo-Nazi sites. The company cited our reporting when they later shut down The Daily Stormer, a major neo-Nazi site. After we asked for their records, the Jacksonville Sheriff’s Office, which had not sent a hate crime report to the state of Florida in years, began reporting hate crime data for the first time since 2013. The Miami-Dade Police Department started an internal audit after we talked to them in October. Detective Carlos Rosario, a spokesman for the department, told us they found four hate crimes that they had failed to report to the state. Rosario also told us that they are in the process of creating a digital hate crime reporting process as a result of our reporting. The Colorado Springs, Colorado, police department fixed a database problem that had caused the loss of at least 18 hate crime reports. The error was discovered after we asked them questions about their records. The Madison, Wisconsin, police department changed how they categorize hate crimes before they send them to the FBI based on our records request. A group of nine senators led by Sen. Patty Murray, D-Wash., sent a letter to Education Secretary Betsy DeVos asking what the administration will do in response to racist harassment in schools and universities, citing Buzzfeed’s reporting for the project. The Daily Stormer in Spanish removed the name of a popular Spanish forum from its site after legal action was threatened following a Univision story. The Matthew Shepard Foundation said it would increase resources dedicated to training police officers to identify and investigate hate crimes, citing our project. Even after the 100 news stories produced by the Documenting Hate coalition, we’re by no means finished. ProPublica and our partners will spend next year collecting and telling more stories from victims and witnesses. And we still have a lot of questions that demand answers. You can help. Interested in helping tell the stories of victims and witnesses? We’re hiring a reporting fellow for next year! See the job announcement. Are you a journalist in a local newsroom and want to receive tips? Sign up to join the project.